Maryland Tank & Environmental is a small team that is largely committed to providing quality service to our customers. 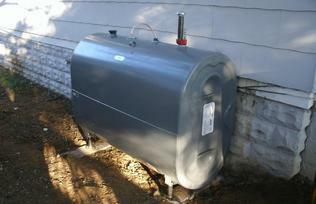 We offer a wide variety of different services including underground oil tank removal in Maryland. Although we are a relatively young company, we have had the pleasure in providing professional storage tank excavation/removal and installation services to the many great residential and commercial property owners in our area. Our company was created based on two main reasons. One, we love providing quality tanks and professional excavation services and we apply that attitude to all of our projects to make our customer’s experience a positive one. Two, quality customer service seems to becoming a lost value in today’s market. So we have made it our mission to build relationships with our customers to provide the best quality service at a fair price. We our proud to say that we have many returning customers and we are able to provide our referrals upon request. For more information about above ground storage tank installation and removal, please fill out our form or call 410-867-0900 today.